Ten-year-old Arthur, in a bid to save his grandfather's house from being demolished, goes looking for some much-fabled hidden treasure in the land of the Minimoys, tiny people living in harmony with nature. Ten-year-old Arthur discovers a world of tiny people living in his backyard, a find that may hold the secret to saving his family home. 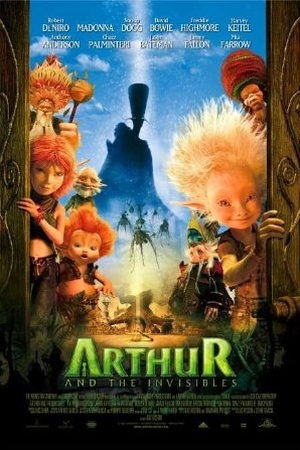 Check the Arthur and the Invisibles (2006) trailer!